You can schedule your Mac to automatically start up using Power Manager and AppleScript. Using AppleScript to create start up events opens up new possibilities for crafting complex and dynamic power management schedules. 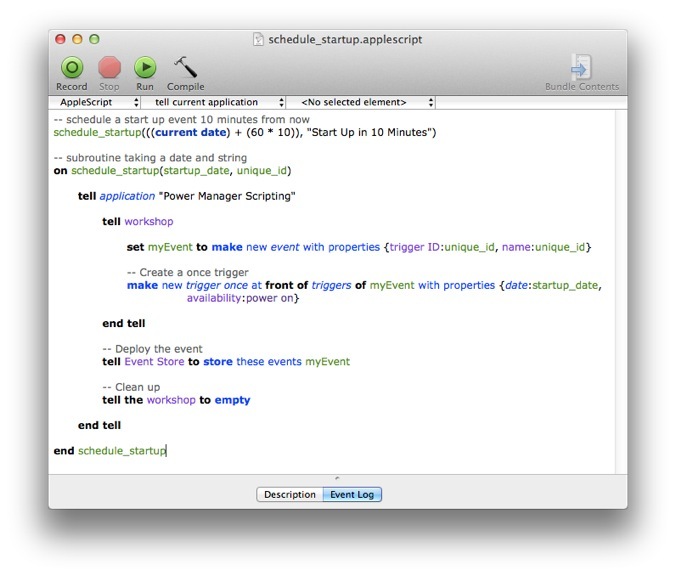 This recipe shows how to create a start up event in Power Manager using AppleScript. Power Manager supports AppleScript and provides start up capable triggers that can be used within your scripts. There are two core triggers that can start up your Mac. The once trigger provides a one time trigger. The daily trigger provides a repeating trigger. Launch AppleScript Editor.app: Applications > Utilities > AppleScript Editor. Save the script: File > Save. Run the script: Script > Run. 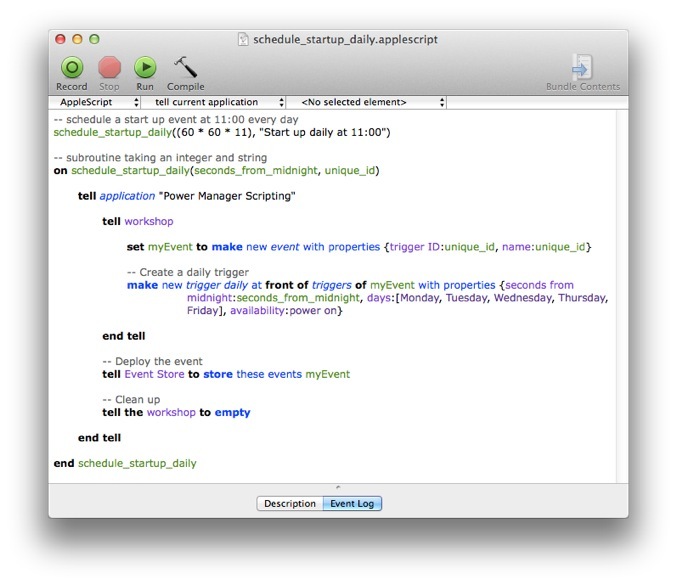 The AppleScript makes use of the once trigger's availability support. 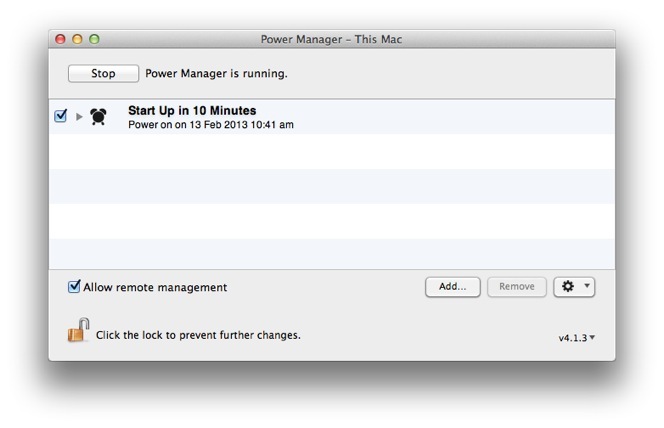 Availability tells Power Manager to ensure the Mac is powered on and ready to perform the trigger at the scheduled time. This subroutine can be reused in your AppleScripts. You can call the schedule_startup subroutine as many times as needed. This subroutine can be reused in your AppleScripts. You can call schedule_startup_daily multiple times each with a different time of day and unique identifier. This article was posted in AppleScript, PM4, Power Manager, and Recipe and tagged start up.